Digital communication is also part of the Communications and Partnership Specialist daily work who ensures effective management and development of the UNDP Tanzania Website and management of the social channels (Facebook, Twitter accounts). This includes writing, editing and publishing articles and contents in all digital channels. The Communications and Partnership Specialist stays abreast of new trends within the field of communication. The Communications & Partnerships Specialist promotes a client-oriented approach in UNDP and contributes to enhancing and maintaining the visibility of UNDP work in the country. (S)/he works in close collaboration with the members of the PSSU, Programme and Operations teams in the CO, staff of other UN Agencies – UNCG, UNDP HQs staff (Communications Office) and the Regional Service Center Communications Advisor, Government communication officials, media, private sector and, where appropriate, multilateral and bilateral partners and civil society. • Formulation and support to the implementation of communications, partnership, advocacy and publication strategies for the CO.
• Support to implementation of key UN interagency communication activities. • Maintenance of websites, digital platforms, web-based knowledge management systems. • Facilitation of knowledge building and knowledge sharing. • Mobilization of resources for communication and partnerships. • Development/production of communication and advocacy materials for marketing and awareness-raising campaigns, including briefing materials and media materials in coordination with the supervisor. • Participate in project monitoring and field visits to document project results, create a database for evidence of results and support in programme reporting. • Ensure that programme reports appropriately capture the reach to the target population mainly the poor, the marginalized including issues of gender and women empowerment are clearly communicated. • Preparation of content for the website, including social media platforms to ensure consistency of the materials. • Effectively manage, lead and implement social media campaigns i.e. in relation to international days. • Provision of training for staff on internal and external communications. • Support to the organization of external events to raise the profile of UNDP vis-à-vis its partners. The key results have an impact on the reputation and standing of UNDP and the UN in the country. High quality information material and well-organized public events enhances UNDP’s position as a strong development partner. • Master’s degree (or Equivalent) in International relations, Journalism, Business Administration, Partnership, Communications, Social Sciences or related field. • Knowledge and experience in handling of web-based management systems. II. Organizational Context, background and statement of the problem. The commitments of the Government of the United Republic of Tanzania towards gender equality and women’s rights are evidenced in several strategic documents, such as the Tanzania Gender Development Policy of 2008 and the National Action Plan to End Violence against Women and Children of 2017/2018 - 2020/202. Gender equality is also mainstreamed in broader national development policies such as the Five-Year Development Plan 2016/2017 – 2020/20121: Nurturing Industrialization for Economic Transformation and Human Development. These, in line with other planning documents such as ‘Tanzania Vision 2025’, note the importance of increased equity, democracy and political and social tolerance to further human and economic development in the country (Tanzania Vision 2025). These are aligned to Tanzania‘s International and Regional obligations and commitments including, but not limited to, non-discrimination, equality and rule of law. Tanzania’s commitments also include Sustainable Development Goal (SDG) 16 to ‘promote peaceful and inclusive societies for sustainable development, provide access to justice for all and build effective, accountable and inclusive institutions at all levels’ (Transforming our world: the 2030 Agenda for Sustainable Development) and SDG 5. Other such instruments include the Universal Declaration of Human Rights of 1948 (UDHR), International Covenant on Civil and Political Rights of 1966 (ICCPR), International Covenant of Social and Economic Rights of 1966 (ICESCR), the Convention on the Elimination of All Forms of Discrimination against Women of 1981 (CEDAW), Africa Union Agenda 2063 aspiration for an Africa of good governance, democracy, and respect for human rights, justice and the rule of Law (African Union Agenda 2063) and The African Charter on Human and Peoples rights of 1981 and the additional Protocol on the Rights of Women of 2003. Despite this, challenges still exist in some legal frameworks and their implementation in a manner that denies women certain rights, especially those related to property ownership, inheritance and marriage. The precedence of customary law in deciding cases in these areas continues to deprive women of rightful entitlements. An example of this problem is the existence of Customary Law Declaration Order which is discriminative towards women and provides a legal foundation for gender-based violence. Furthermore, the existence of customary practices such as the bride price, widow inheritance and cleansing, female genital mutilation and cutting (FGM/C) as well as strong patriarchal structures at community and family level continue to oppress women. The implementation of progressive laws is also sometimes challenged by the existence of customary structures and judicial organs that deal with the administration of justice. Tanzania’s legal system consists of parallel frameworks. Statutory law exists alongside customary and Islamic law with courts mandated by law to apply customary and Islamic law in the administration of justice. The rules of customary laws currently applicable to the administration of justice in Mainland Tanzania originate from different ethnic groups. They were codified more than 50 years ago through the Local Customary Law Declaration Orders, 1963. The Judicature and Application of Laws Act, 1961 provides room for revision of customary rules to reflect developments taking place in particular societies but no such revisions have been done. The longevity of many provisions of customary law has placed women in a precarious condition as they are most often discriminated against directly or indirectly in the course of application of customary laws. There are numerous instances where courts have preferred the use of customary law in the administration of justice even though the use of such laws discriminates against women and contradicts statutory law. In order to assist the Government of Tanzania in its endeavours to implement the recommendations of the CEDAW Committee on customary laws that discriminate against women, UN Women is extending technical support to assist in the formulation of recommendations for reform on the customary justice systems found on the Mainland. In order to provide well informed recommendations, a gender analysis of customary justice systems and justice sector policies in Mainland Tanzania is required. The study will be conducted in the regions of Mara, Dodoma and Mwara. • Identify customary modes of solving dispute – (types of customary law and traditional mechanisms) – structure, procedures, remedies and their enforcement including case studies of specific cases which have been resolved. • The areas covered by this study should include, but are not necessarily limited to, marriage and divorce law, inheritance law and approaches to tackling VAW within customary justice systems. • Supply clear and detailed findings and conclusions which will inform the development of policies and guidelines in this area. • Develop detailed recommendations for reform from the results of the study that will be provided to the appropriate stakeholders. • Gender analysis of customary marriage and divorce law, inheritance law and approaches to tackling VAW within customary justice systems. 6. Submit draft study on Gender analysis of customary Justice System to UN Women for comments and review and submit final documents after incorporation of comments and feedback. 8. Participate in and lead dissemination meetings with relevant stakeholders. The consultancy shall be undertaken over a period of 45 days that will start running from the date of signing the consultancy agreement. 1. The consultant is expected to develop and submit monthly reports as per the agreed terms of reference. 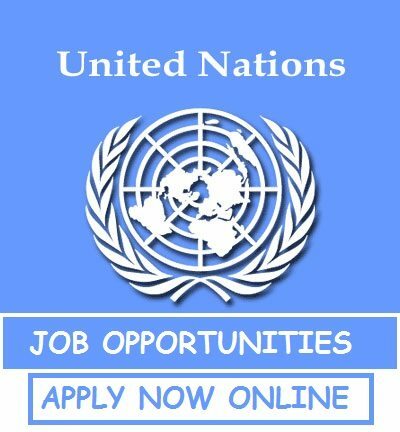 • Demonstrate consistency in upholding and promoting the values of UN Women in actions and decisions in line with the UN Code of Conduct. • Demonstrate an appreciation of the multicultural nature of the organization and the diversity of its staff. Demonstrate an international outlook, appreciating difference in values and learning from cultural diversity. • Demonstrate and safeguard ethics and integrity. • Demonstrate corporate knowledge and sound judgment. • Take charge of self-development and take initiative. • Demonstrate ability to work in a multicultural, multi ethnic environment and to maintain effective working relations with people of different national and cultural backgrounds. • Facilitate and encourage open communication and strive for effective communication. • Stay composed and positive even in difficult moments, handle tense situations with diplomacy and tact, and have a consistent behaviour towards others. • Surface conflicts and address them proactively acknowledging different feelings and views and directing energy towards a mutually acceptable solution. • Encourage learning and sharing of knowledge. • Demonstrate informed and transparent decision making. Master’s degree in Law, Social Sciences, Gender/Women’s Studies, Political Science or any other relevant field. • Working experience with international organizations is strong advantage. • Excellent domain of Swahili is required. • Fluency in English and Swahili is required. • The Consultancy costs including all travel costs.